The donation of 72 Inuit carvings has Great Northern Art Festival Society feeling like kids at Christmas. 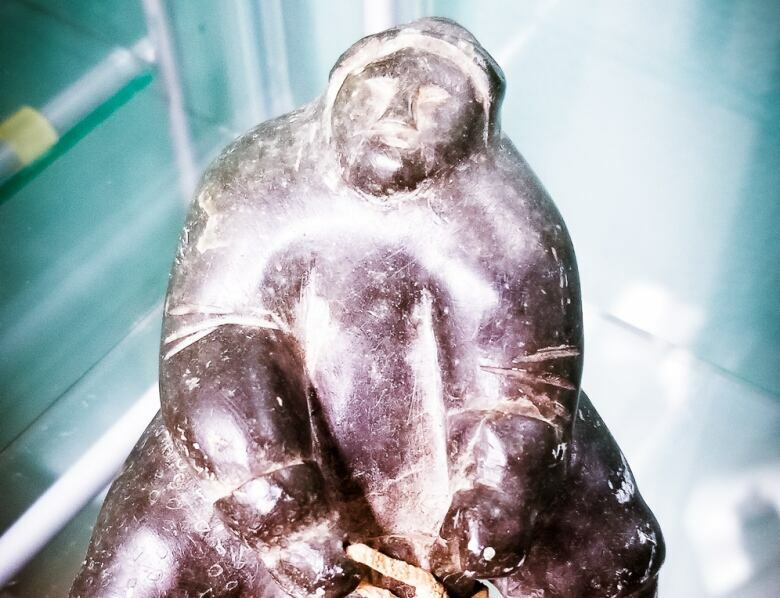 After decades in storage in a home in California, dozens of Inuit carvings have come home to Canada's North. 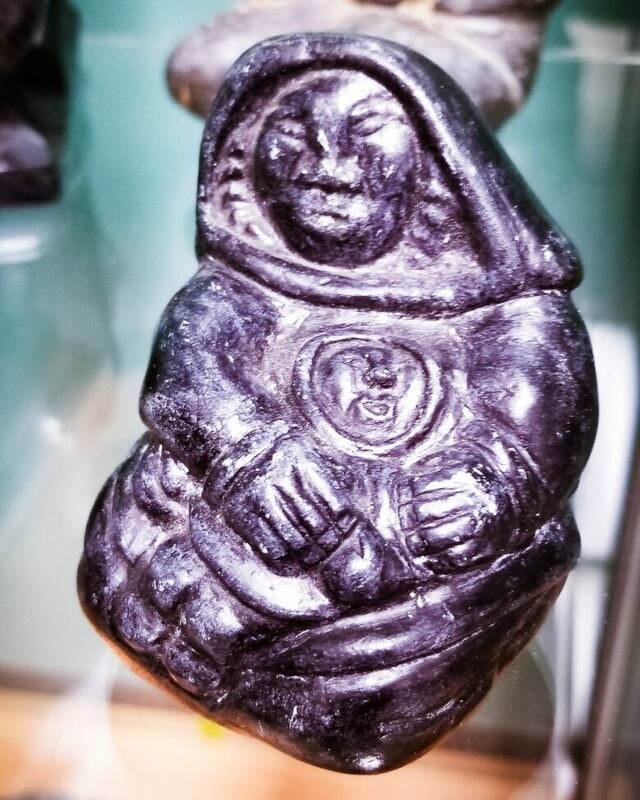 The donation of 72 small carvings recently arrived in Inuvik, N.W.T., for the Great Northern Arts Festival Society. They were a gift from the granddaughter of Harold Harshaw — a former worker with the federal government who amassed the collection while working in the North in the 1940s and 1950s. Tony Devlin, the society's chair, described the donation as a series of Christmas presents, each one a treasure. "It was almost like [being] a kid," he said. "There were 72 presents in front of us and every time we unwrapped one it was like, 'Wow look at this!' There was a lot of passing back-and-forth between the [society's executive director] and myself noticing the detail and the obvious history in these pieces." Most of carvings are intact and in good shape, Devlin said, and it appears Harshaw took good care of them in his retirement home in San Diego. 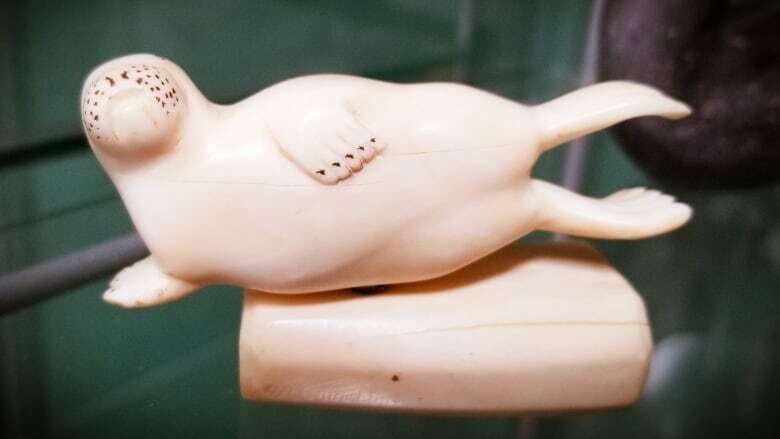 Most of them are from the Eastern Arctic and are made out of soapstone, walrus ivory or bone and were likely meant to be held in a person's pocket as they travelled. "It was very obvious, almost from the get-go, that these pieces were special," Devlin said. "These weren't the ones you were going to be seeing in Northern Images or any of the other current stores. There's something slightly different to them." The Great Northern Arts Society is working on cataloguing the pieces and determining who made them. Others will need to be restored. Some of the pieces have tags or other identifying marks or signatures that can help with that process. After that is complete, they'll be displayed as part a special exhibit of the Great Northern Arts Festival. Then Devlin hopes they can be showcased through other art shows or museums. "It's one of these found collections, we call it a basement find. Because of the time we're dealing with, we feel it's important to show this to Canadians," Devlin said. 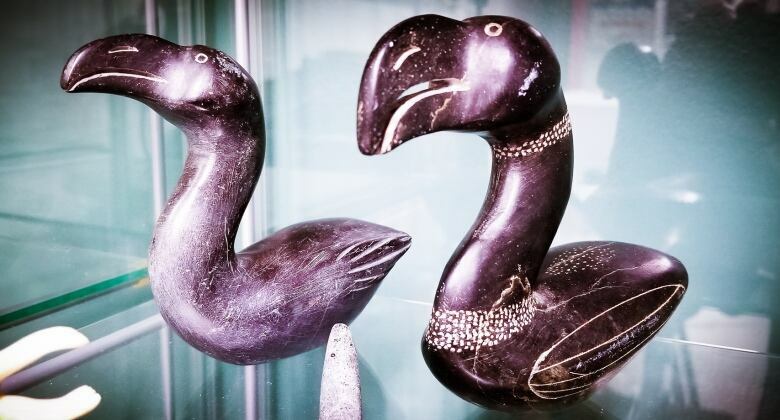 The works date from a time when Inuit carving was just becoming known in the art world through the efforts of the co-operative at Cape Dorset and in other northern communities. Some may be even older. "While it has been donated to the art festival, it's not really ours," he said. "We really feel it's everyone's and it's part of what we'd like to share."